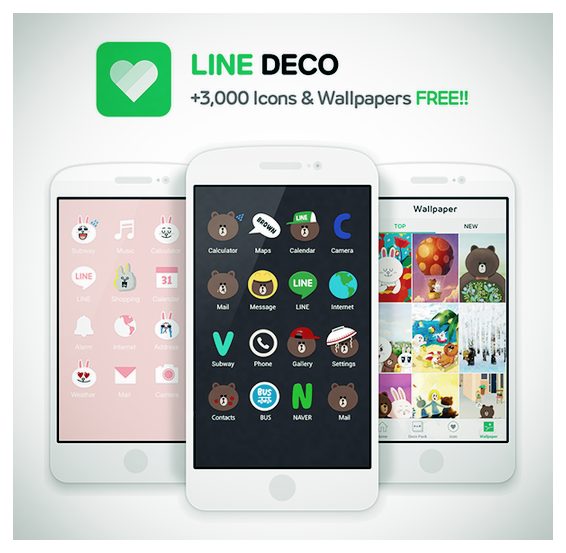 LINE DECO allows users to add a personal touch to the home screen of their smartphones by using customizable wallpapers, icons, and more. In addition to offering items based on LINE characters, the service also allows users to upload and use original decoration items they create themselves. Sound familiar? Yes, I’m sure CocoPPa thinks so too. The app is available for both iOS and Android, in English, Japanese, and Korean to start. 3000+ decoration items will be free until the end of April, to celebrate the app’s launch.